This week’s EN Weekly Bites featuring a reveal from the reprint set, showcasing the return of a certain STRENGTH loving Thunder Dragon. Episode 3 (October 18) of the English Weekly Bites NEXT shows us a card reveal from Revival Collection Vol. 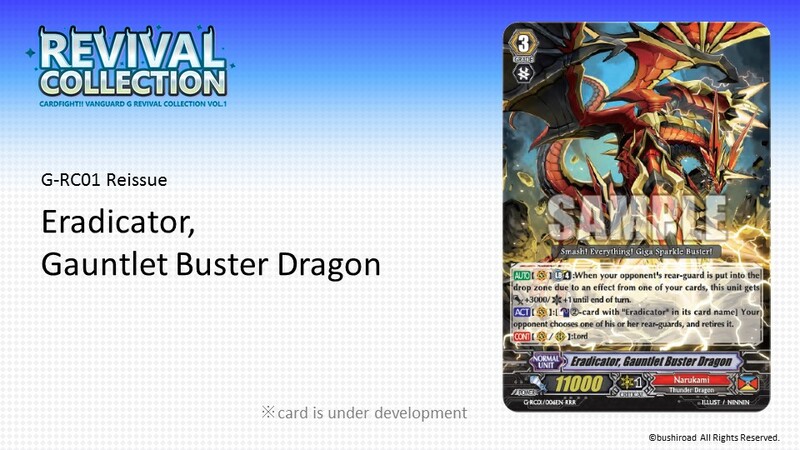 1, Gauntlet Buster Dragon, card number G-RC01/006EN. First appearing in BT10 and recently reappearing in the hard to pull SCR Pack in G-BT05, the Revival Collection will provide an easier way to obtain this card.